Amuri Estate Olive Grove & Homestay is a Luxury Bed & Breakfast in Hamner Springs. Set on 26 acres, Amuri Estate offers accommodation with stunning mountain and river views. Amuri overlooks the beautiful high alpine basin at the foot of the Southern Alps. Shine designed the company brand, business stationery, packaging, labels and website. Project: Brand and Business Stationery. 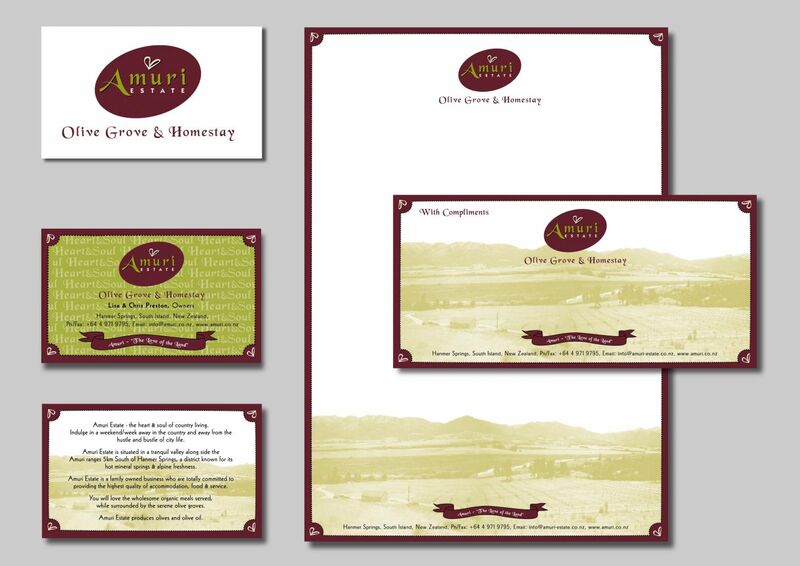 Brief: To create a professional brand for Amuri’s exceptional range of quality product and services. Solution: The oval logo is based on the shape of an olive. The brand combines the styles of ‘country’ and ‘upmarket’. The brand is versatile enough to be used in a wide variety of mediums. Format: Labels and swing tags for olive oil and olive oil soaps. 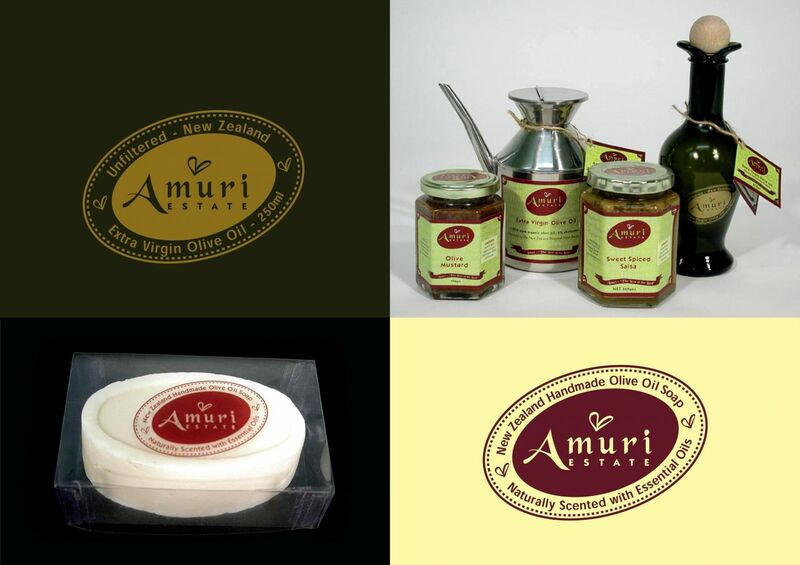 Brief: To create exclusive packaging which reflects Amuri Estate’s high-quality products. Solution: A simple versatile oval label that can be applied to a wide variety of packages. The transparent labels are not only visually enticing but enable the products colour/texture to become the secondary design element. The olive oil’s uniquely shaped bottle and simple gold label create an elegant ‘look’.